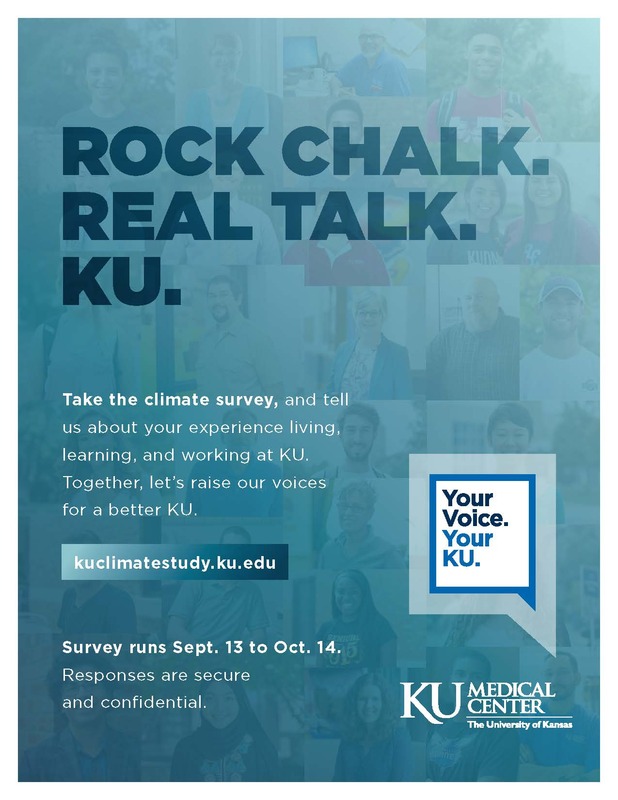 KU will host two report back sessions with results from the Climate Study survey. Watch the livestream here. 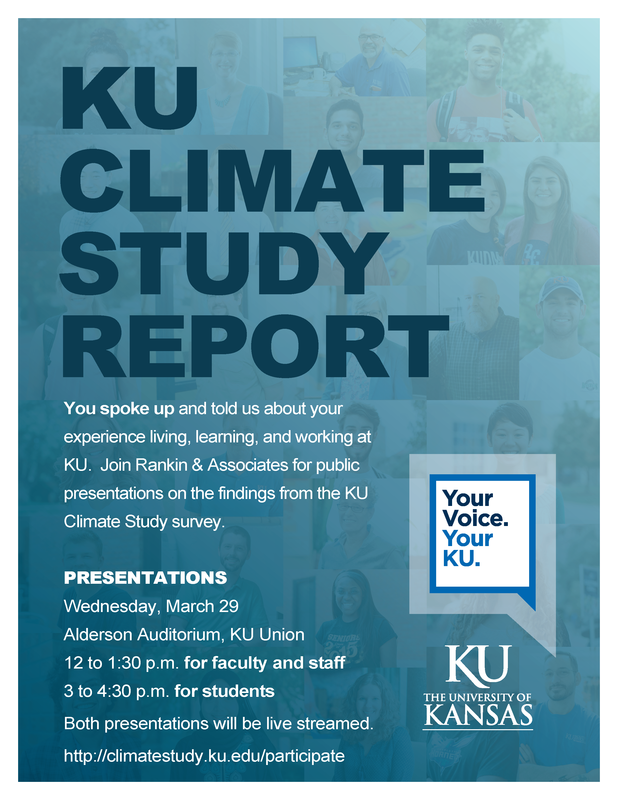 Please submit questions to diversity@ku.edu during the presentation. The account will be monitored and questions will be shared with the presenters for response. Edwards Campus faculty and staff are invited to join their colleagues in the BEST building, room 235 to watch the livestream.